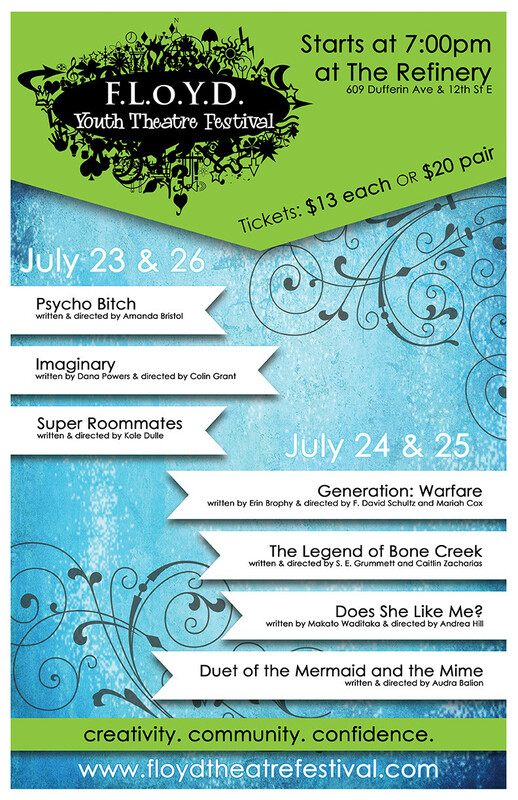 FLoYD 2014 Summer Festival » FLoYD Youth Theatre Inc. It is that time once again dear friends! FLoYD Youth Theatre Festival will be hitting the stage! Tickets are available at the door, $13 each or $20 per pair; show starts at 7:00 P.M.
Come out for seven great shows across four nights. Each night will feature an eclectic mash of original works written, directed, and performed by the youth of Saskatoon.